This adapter is engineering test tools. NOT for home or office use. 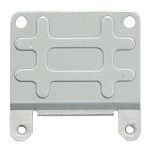 The Products just only support MiniCard slot, Can’t support mSATA slot, Can’t support Apple MacBook air SSD Card slot. If MiniCard slot on the host does not support PCIe interface, the adapter can’t work. 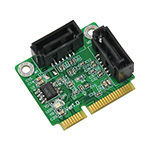 Click the button below to add the PM1061 (SATA III to Mini PCIe 2.0 adapter) to your wish list.